""Buy high, sell low? 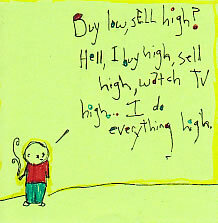 Hell, I buy high, sell high, watch tv high. I do everything high.""